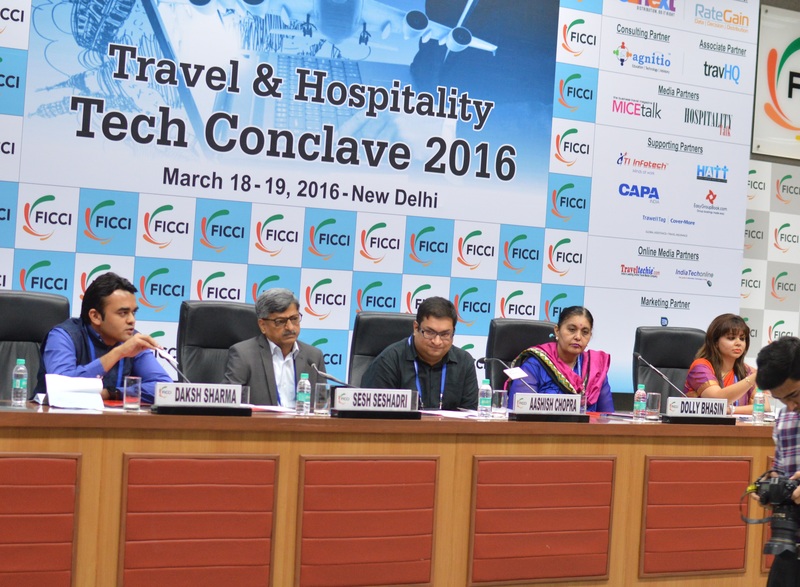 The FICCI auditorium witnessed the Travel and Hospitality Tech Conclave 2016 fold with a huge round of applause from the leaders and participating organizations from the travel and technology sector. The two-day event saw some stirring discussions and prime concerns being debated upon. The panel discussion on the nuances of Content Marketing was exhilarating and the mojos had some key points to give away. The panel included Sesh Seshadri, Director at Lonely Planet India; Aashish Chopra, Head Content Marketing at ixigo; Bhawna Grover, Head of Content at Goibibo and Dolly Bhasin, MD, SPH Consultancy & Eservices Pvt. Ltd. They gave insights on how content can be leveraged to promote brand name in the travel sector. From a traveller’s perspective, everything comes down to destination. If the destination is worth it, he would undergo umpteen amounts of discomfort to get there. Similarly, if the content narrates the reality; the stark truth, so much so that if the experience gathered by just reading the content is enough an inspiration to pack your bags, then the mission has been accomplished. Trying to sell the product isn’t the way to go. Curated content is a destination for the traveller. If they don’t relate to the brand, they would not opt it out. Selling dreams, experiences and adventures should be the core focus of the travel brands. And only good deliverable content could make it happen. Content marketing is a growth hack in this age. Travel brands should experiment and go beyond the usual marketing strategy. Platforms like Facebook and Twitter are huge and chaotic. Driving the right content and the traction that it should attract seems like an uphill task on these social media platforms. However, if one captures the attention of the consumer, some hope of getting that content through him looks certain. Share-worthy content is the prime key rather than consumable content in driving campaigns forward. Real-time engagement with contextual content can easily grab the eyeballs of users on social media and do wonders for brands. Brands need to keep on experimenting with the tonality, theme and format of the content to connect with their consumers. Though in some instances like with videos, the ratio of failures would be on a higher side, with only 2 out of 10 videos getting valuable returns to a travel brand. The content shouldn’t be hammered. Let users be the end provider of the content because that’s where we want the impact to happen. And by this travel brands can deliver engaging content that creates likeability and brand image. The visual content drives maximum amount of traction in the hospitality sector. Images are very powerful sources to draw attention. The contributed images play a major role here because that’s how the reality is perceived. Hence, meta search engines like Tripadvisor and GoIbibo let users contribute visually curated content. The way forward is to get the community to participate. The right kind of content gets the right kind of traction on a right platform. That being said, the social media has expanded its reach to the millennial. Platforms like Facebook and Twitter are not the sole propagating areas and travel brands should go beyond just them. The new emerging platforms that are unheard of as means to expand the brands reach could include Wikipedia and TED. TED is a rather interactive platform where innovation meets expansion. A particular product or a campaign could draw n-number of views on TED given its marketing strategy focuses on the innovation and experience. The marketers talked about how not just purist content should be the only focus in driving traveller’s imagination. They talked how infographics, GIFs and vine videos could provide engaging content as they drew the attention of the viewer. Thumbnail image in a video plays a great role in catching the attention of a user. Square video formats have to be propelled forward in an m-commerce platform dominated space if the brands want the content to go viral. Being said this; the attention span in a chaotic space is very less which lays emphasis on streaming captivating content in first 2-3 seconds. Else, the marketer loses the viewer. We will be coming up with updates of interesting discussions that took place at FICCI Conclave. Stay tuned!